Welcome to the second edition of CEJ. 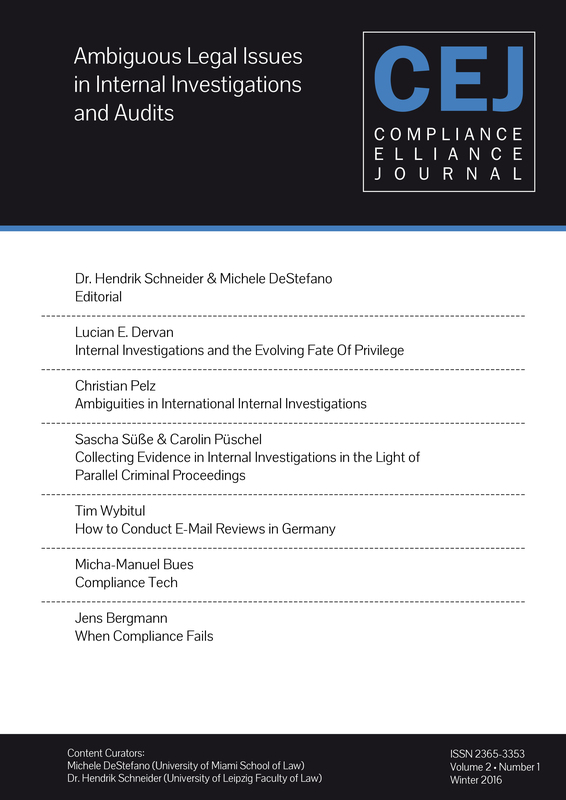 We are proud to present a variety of articles that address the global international internal investigations. Our goal is to create an atmosphere encouraging cross-cultural dialogue among business and legal practitioners, academics, and students. Below you will find all articles available for download as PDF.